If you’ve ever wondered what’s behind the big paneled doors and draped windows of those old Georgetown mansions, mark your calendar for April 24. That’s this years date for the annual Georgetown House Tour. It's your chance to get an inside view of some of Washington’s oldest and most beautiful homes. 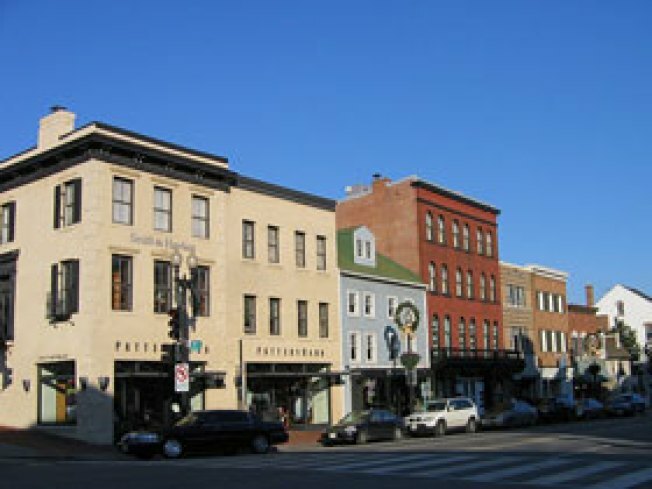 The Georgetown neighborhood actually predates the establishment of Washington, and contrary to popular belief, the area was not named for George Washington. It was incorporated as a town in 1751 and is believed to have been named either in honor of the reigning king of England or for its two 18th-century founders, who both also happened to have the first name George. The tour, sponsored by the historic St. John’s Episcopal Church in Georgetown, features eight to 12 homes and gardens along a scenic walk. You can move along at your own pace, stopping along the way for tea at Blake Hall, the parish center of St. John's Church. Advance ticket sales have begun. You can buy them by mail or online for $50 per person. There is a discount for groups of 20 or more. Tickets can also be purchased at the church at 3240 O St. NW on April 23 and 24.